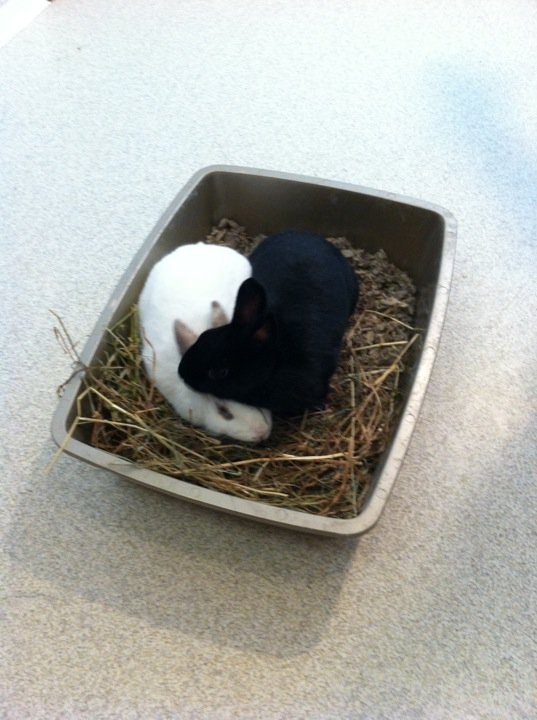 Macchi and Josie share their litterbox, which is filled with natural, paper-based litter, and topped with hay. Territory related. Winston, a religious litterbox user began urinating on the floor next to the litterbox near the gate…when Buttercup arrived on the opposite side of the gate. After Winston got used to Buttercup, and had “his” territory sufficiently marked, he stopped using the floor and resumed using the litterbox.